If you’ve ever been on your computer playing a game and looked to the corner only to discover that you’ve just lost two hours to Farmville or World of Warcraft, I’m sure you’d love to believe that there is some redeeming value to the time you’ve lost. On August 3rd, PBS MediaShift released an article claiming that video games teach “a new literacy.” And while I do not personally game, I agree to a certain extent – there are hidden benefits to playing video games. Ryan, my husband, games, and given the trend, I would be willing to bet that my son will become one as soon as he is of age. I tend to see playing Xbox all afternoon as a massive waste of his time, but today’s video games have many more benefits than the tired “hand-eye coordination” argument that has been around for a few years. People who play video games have the opportunity to take risks without having to suffer the consequences they would in real life. This encourages aggressive problem-solving, and learning new methods of approaching problems that they would not be able to otherwise. It promotes a willingness to take risks, but calculated ones that have a clear goal in mind. Video games foster exploration, and encourage the idea that failure is a necessary part of success. It’s not hard to argue that in games like BrainAge or Sudoku, definite mental connections are being made, but what about games like Call Of Duty or World of Warcraft? One of the benefits that multi-player games like this have is that they are team-based. In order to play the game most efficiently (win), players must work together as a team to reach a common goal. In addition to the technical prowess needed to do this, gamers learn to compromise their individual wants to coordinate efforts that benefit everyone. This is inarguably a skill that can serve people well in interactions outside of the video game. The more that people are paired with different personalities, the more they will learn to accept and communicate with them. Most people who game have a favorite style that they prefer to play. However, it’s important to branch out to gain the most benefit from video games. Different kinds teach different skills. A game like the Sims, in which you control the lives of a virtual community, teaches the player social skills – like interpersonal communication, economics, and social consequences. Other games like Fable, a role-playing game, teach similar themes. Games like Portal, Half-Life, or Myst necessitate that they player think critically about a situation, and explore their options before reaching their objective. They also require pattern recognition. Action games such as Call Of Duty or other shooters develop accuracy, hand-eye coordination, and reflexes. 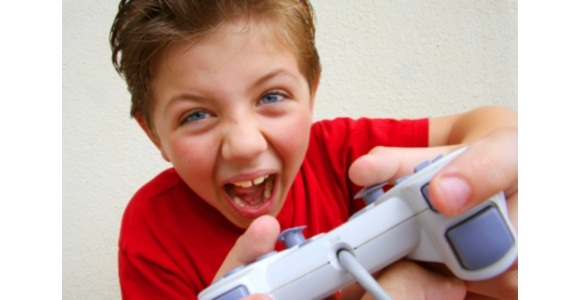 In 2008, Fordham University released a study stating that children from grades 5-7 improved cognitive and perceptual skills after playing a new video game. “The younger kids are focusing more on their planning and problem solving while they are actually playing the game,” said Fran Blumberg, the Fordham Psychologist who performed the research. In fact, these benefits don’t just stop at childhood. A study of laparoscopic surgeons found that the surgeons who played video games were both faster at their procedures, as well as more accurate. Encourage your kids to play video games – but do the research yourself, just as with anything that you expose your kids to. They can have some amazing benefits, and nothing will channel that better than by their parents being involved in the process. Don’t just buy educational games for them – but a wide variety. Educational games will be made more fun for them by having other games that are just as educational, but in different ways. Help your kids deal with peer interactions on video games, encouraging them to resolve conflict and learn to cooperate with others just like they would in the physical world. And of course, mix all this in with other learning styles, like books, movies, television, and most importantly, hands-on learning. Andrea Eldridge is CEO of Nerds On Call, which offers onsite computer & laptop repair to homeowners and small businesses. Based in Redding, Calif., it has locations in five states. Why is Mercedes’ ‘The Catch’ video getting so popular?